Happy Thanksgiving, American readers and everyone else! 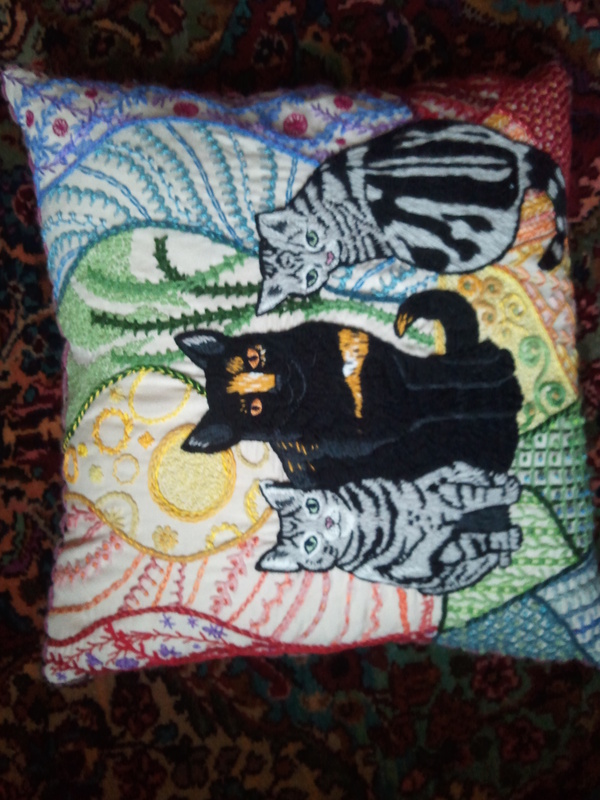 I’m thankful for many things, but particularly relevant to this blog, I’m thankful to have finally finished this pillow and given it to my mother. It’s sitting on my mom’s couch, where it was destined to go. I’m hoping to one day catch one of her cats napping next to it, but thus far only the cat hairs let me know that they’re appreciating it too. The pieces sat for weeks, waiting to be sewn up. I don’t know why I kept putting it off–it really didn’t take all that long to stitch the seams. 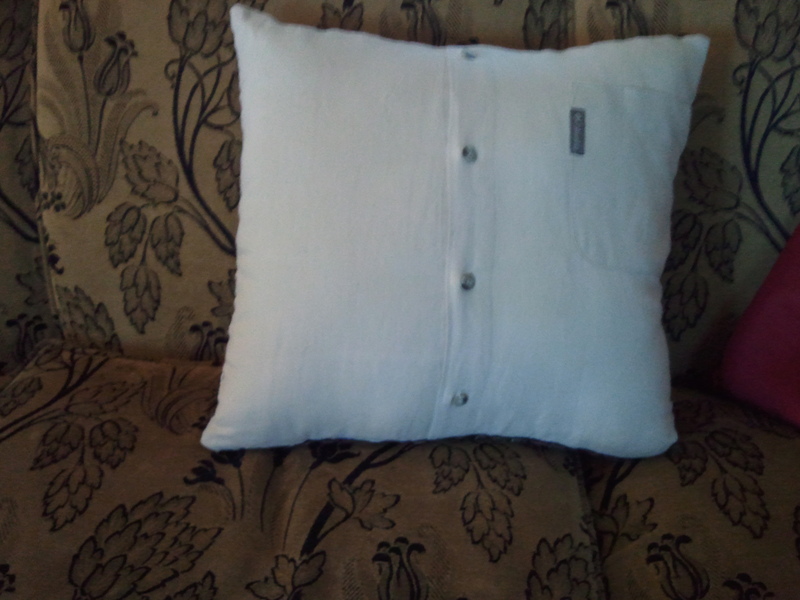 Both sides were made out of one of my dad’s shirts, so I used the buttons as a pillow release should it ever need laundering, and incorporated a pocket. For stuff. And here is a still-somewhat-blurry photo in slightly better light of the finished product. I’m happy with it! Merry Christmas 2012, mom. 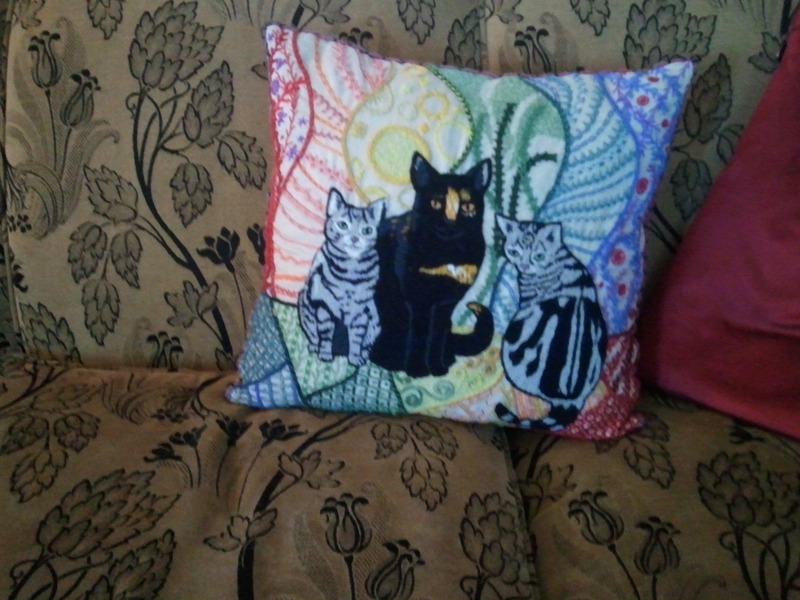 This entry was posted in Uncategorized and tagged cats, embroidery, finished work, surface embroidery by Rene. Bookmark the permalink. That is gorgeous and your satin stitching is beautiful. You can really see the sleekness of the cats. Thanks, Margo! I’m pleased that they look like the models,. My mom could even tell which stripey cat was meant to be which. Astonishingly beautiful, and I adore what you did with the back! You should be very proud of that pillow. Omg this is awesome!! Really beautiful.